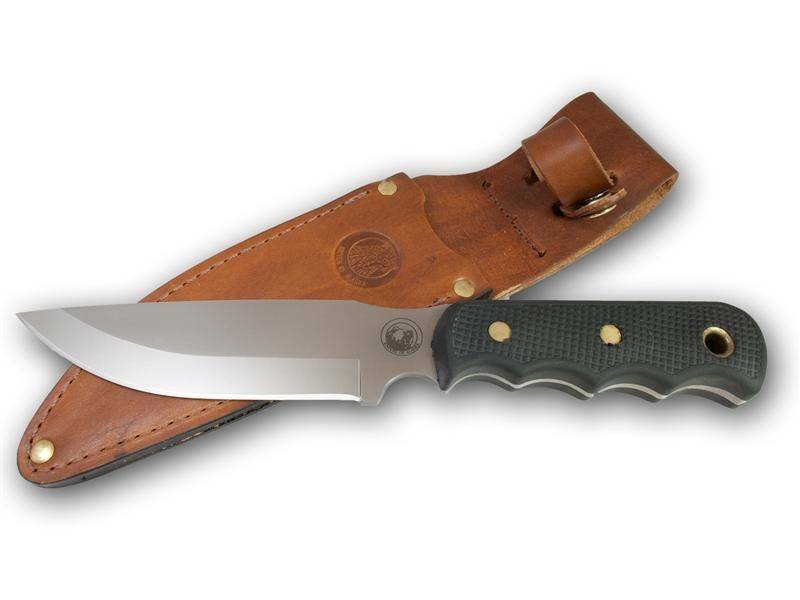 The Bush Camp Knife is a large 10-1/2" long, full-tang, .14" thick knife with a 6" drop-point blade. The handle is our black rubberized Suregrip. 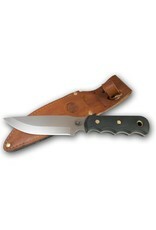 The knife is designed for rugged bush camp field-dressing and cook shack duties. Simple straight-forward design provides user with a practical knife large enough for any outdoor camp and field-dressing task. The blade steel features our "hunter's non-glare matte finish".